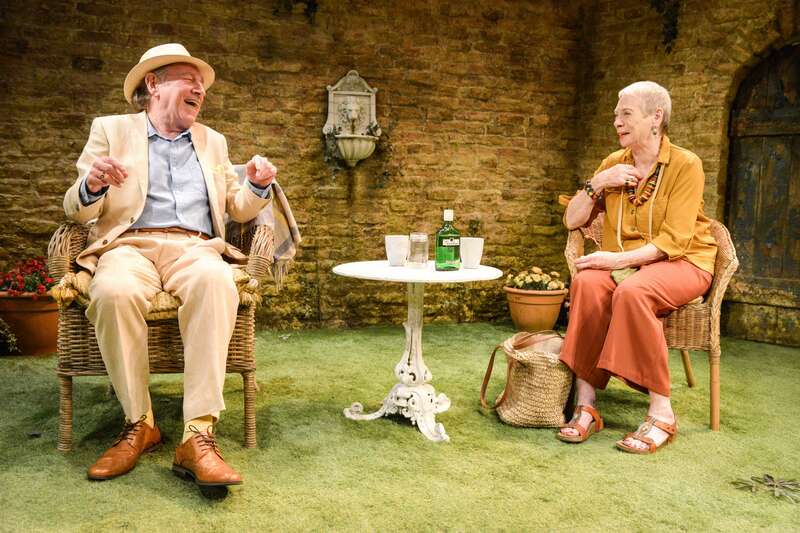 Paradise, a play set in an attractive retirement home on a warm summer’s day, has more to it than meets the eye. The sign upon entering «expect strong language — more information on enquiry» is in itself curious. But what starts off as a slow-paced comedy a bit afraid to push boundaries, becomes bittersweet when secrets threaten to be unearthed from the bucolic scene. Draped over chairs sipping gin from the bottle are septuagenarians Goose (Sara Kestelman) and Meakin (Geoffrey Freshwater). Like her name, insults from her old school friend the cantankerously campy Meakin are ‘water off a duck’s back’. When she broaches memories from their shared past though, he doesn’t want to know. What he could have to hide and his ill-preparedness for change, form an interesting contrast between the pair. Topical nods to Theresa May’s «dementia tax» that forced elderly people to use the value of their homes to pay for their care lend a truthful note to Goose’s predicament. Having had to sell her home for mysterious reasons, she faces eviction from Paradise. But beyond exposing the bare greed of the home’s operating company — people are either gold, silver or bronze packages — it’s not too worthy on this front. Thoughtful and funny on the best ways to tackle old age, be it selfish Meakin or accepting and graceful Goose, Paradise shows us life isn’t fair but while we have it, plant roses.